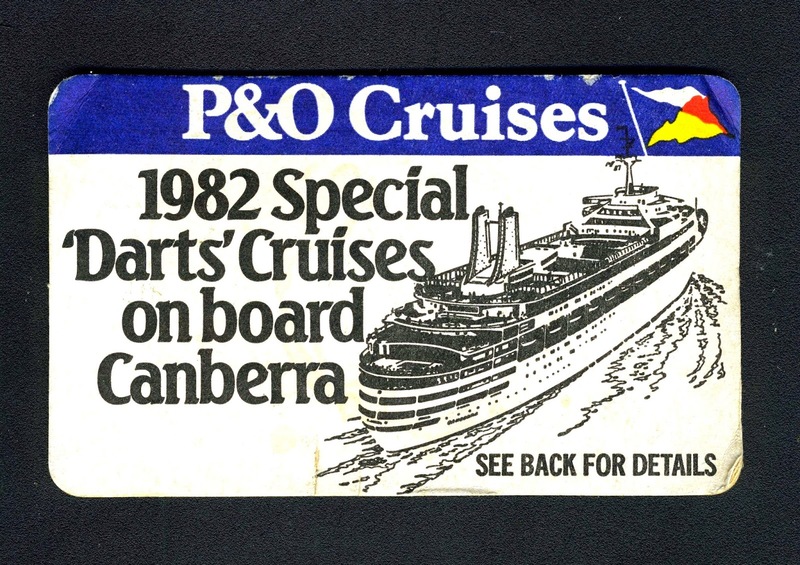 I picked up this drinks mat for 50p this morning, to have been used on two of P&O's Darts Cruises that took place in May and October 1982. 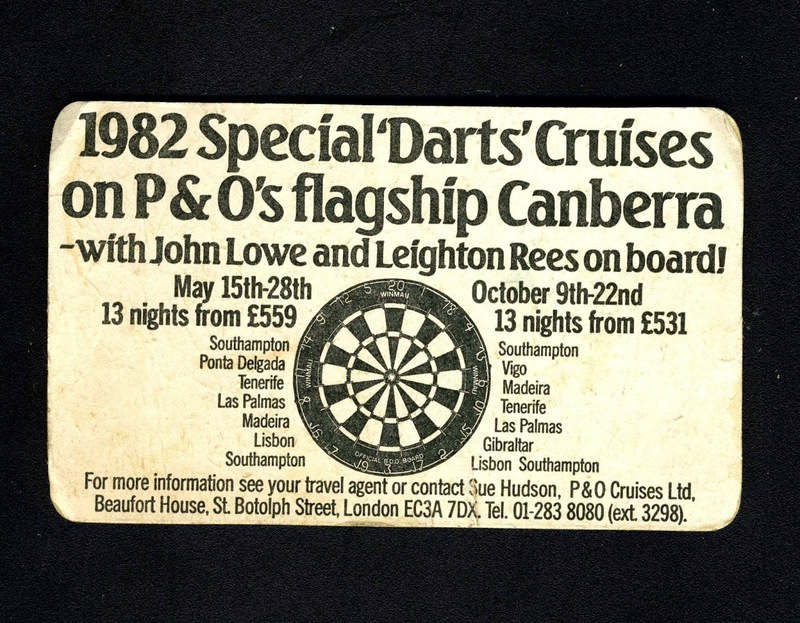 The two professionals were John Lowe and the late Leighton Rees, both players, even as a non-darts fan such as I, had actually heard of. All is not as it seems however, as the ship concerned, the SS Canberra, was unavailable for the first cruise due to being requisitioned by the Ministry of Defence and hastily refitted as a troop ship in early April and sent to the Falkland Islands, not to return to the UK until the July. Whether she made her October date I can't say, nor which ship took over her duties during the interim. Put into service in 1961, the 45,000 ton ship was withdrawn in 1997 and sent to Pakistan for scrapping, a feat that, due to her bulk, took a year, rather than the estimated three months.